This full color 52 page guide is a great on-hill source for instructors to use with their students. 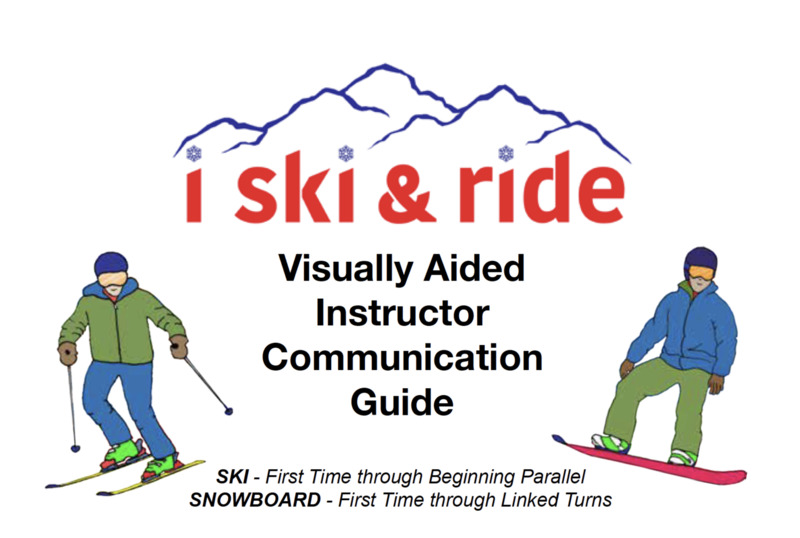 Complete visual progressions that align with advanced techniques will move learners from their first time, to beginning parallel for skiers and linked turns for snowboarders. All kinds of learners can benefit from the images in the book. Concepts are picked up quickly and the positive verbal cues opposite the image help instructors to streamline their coaching, while giving the learner positive affirmations to use as they progress.